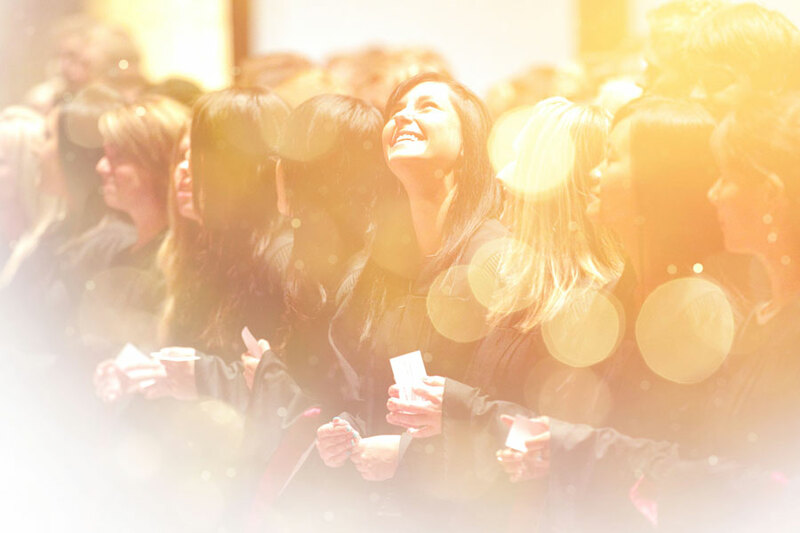 The University of Saskatchewan’s Spring Convocation is taking place June 1-4. In addition to awarding thousands of degrees to students, a number of honorary degrees and awards will be presented to deserving individuals. Jay Wilson, department head of curriculum studies, is a leader and scholar, but above all else, he is a teacher. Students recognize that as they line up to get into his classes. He is innovative by nature and regularly invents fresh ways to do things and carries them out fearlessly. As a teacher-scholar, he has developed a nationally recognized program of research in authentic learning. But it is his investment in students—who have described him as inspiring and transformational, a teacher who will infl uence them for a lifetime—that sets the teaching standard on our campus. Rae Bourner joined the university in 1976 as a secretary in the College of Dentistry moving into the role of manager of the undergraduate education program in the College of Medicine. Throughout her career she has displayed remarkable skill, tenacity and good humour that have not gone unnoticed by supervisors, colleagues and students. But it is her care and concern for students that generates the most admiration. By the most conservative estimate, Rae has been involved in the lives of more than 2,500 students and residents and is described as a true "mom" to all. Brett Wilson, a U of S grad, proves that business success does not come at the cost of principles. He became a household name through the Dragon's Den TV show, and his work in business and philanthropy. He has raised and donated tens of millions of dollars for a range of charitable organizations, and is the founder of the W. Brett Wilson Centre for Entrepreneurial Excellence at the U of S. He has received many honours including being named Alberta Business Person of the Year, and a Nation Builder by The Canadian Youth Business Foundation. Carl Zylak earned his BA and MD degrees from the University of Saskatchewan. Following 10 years practicing radiology in Winnipeg, he accepted the position of professor and chairman of the Department of Radiology at McMaster University in Hamilton, Ontario. He was the founding director of the Ontario Breast Screening Program, and worked in Ohio, Michigan and Arizona. He has over 200 published articles, book chapters, scientifi c presentations and lectures to his credit. He and his wife, Edith Ann, have four children and ten grandchildren. Deborah Chatsis, a member of the Ahtahkakoop First Nation and a U of S grad, has had a long and varied career as a member of Canada's Foreign Service, serving around the world from Beijing and Bogotá, to Geneva and New York City. Her roles have included work with Aboriginal Aff airs and Northern Development Canada, the Truth and Reconciliation Commission of Canada, and the Privy Council Offi ce as senior adviser, Social Policy Development Secretariat. Chastis received a Fulbright scholarship to attend Harvard University in 2006-2007. Sara Williams became an extension specialist in horticulture at the U of S in 1989 and initiated programs for both home gardeners and the horticulture industry throughout Saskatchewan. Williams is the author and co-author of numerous books. In the decade following her retirement, she has raised funds for a hostel and garden for 80 girls attending secondary school Tanzania. These students are mostly from impoverished families in remote villages. The hostel provides a safe and supportive environment for their years of study and has become a model for other communities in Tanzania. Kailash Prasad's research focuses on oxidative stress and how reactive oxygen species play a role in everything from heart failure to diabetes. His discoveries have led to eight patents and one copyright. He has published 239 refereed papers and 35 invited reviews and book chapters. Prasad has received numerous honours including, the Life-time Research Achievement Award from the University of Manitoba, the Centennial Medal from the Government of Saskatchewan, the Innovation Award from the University of Saskatchewan and Innovation Place, and the Research Achievement Award and Distinguished Service Award from the International College of Angiology. V. Mohan Malhotra is well known for his contributions in the fi eld of concrete technology. He has contributed to using industrial waste in the concrete industry, which has attracted global interest because of economic, energy and sustainability implications. He has published more than 100 papers in refereed journals and has authored or co-authored six books. He is member or fellow in numerous organizations including the American Concrete Institute and the Engineering Institute of Canada. He received the Government of Canada Commemoration Medal for the 125th Anniversary of the Confederation of Canada. One of the world's foremost experts in pediatric exercise science, Adam Baxter-Jones, professor in the College of Kinesiology and interim dean for the College of Graduate Studies and Research, is renowned for his international collaborations and approaches to longitudinal research of children's growth and development. His studies and leadership in this area have altered how the medical and other health professional communities view the role that exercise has on childhood growth and maturation. In 2012, he received the Saskatchewan Health Research Foundation's Achievement Award, the highest honour for lifetime achievement bestowed by this organization. Bruce Schnell has many connections to the U of S, from receiving his pharmacy degree in 1960 to eventually becoming dean of the College of Pharmacy and vice-president academic. Schnell directed two national research projects that infl uenced hospital pharmacy standards and practice in Canada and abroad. He has served many pharmacy organizations locally, provincially and nationally, including the Pharmacy Examining Board of Canada, the Association of Deans of Pharmacy of Canada, and the Canadian Foundation for Pharmacy. The Schnell family connection to the U of S is strong: 31 members have received 34 degrees.